So…you know that rather long break from me blogging all through October? One of the many things I was up to was house-hunting, and now the paperwork is pretty much sorted, I can happily reveal that Chris and I are buying our very first home! 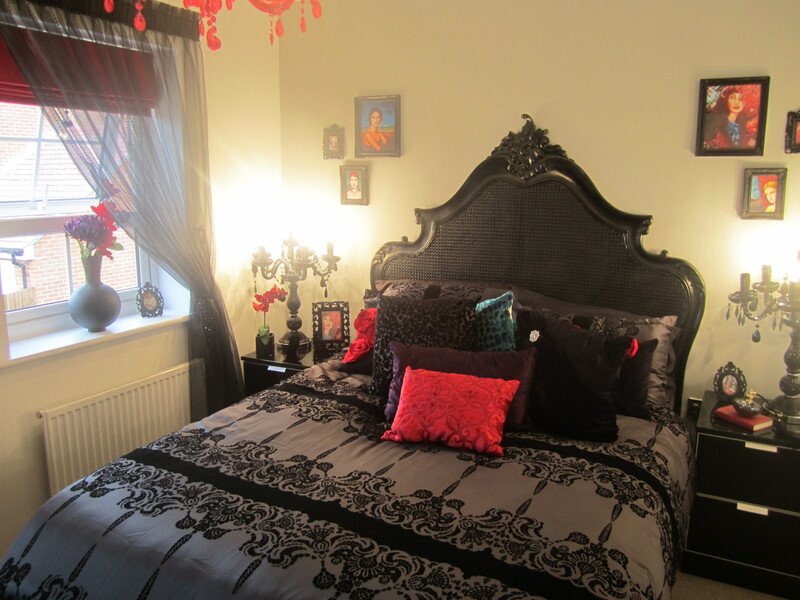 I know everyone has different taste, but this was a rather questionable bedroom in a showhome that I simply had to share- boudoir anyone? This is very definitely not what we’re aiming for with our decor! For that very reason, expect a lot more ‘housey’ posts- think interiors and gardens. Having our own place rather than somewhere we rent means we can decorate, pin things up etc etc without being restricted so there’s a lot of things to get excited about that previously I couldn’t really get into properly. But what I am most excited about is having a GARDEN! I’ve been preparing for that day for a long time via my ‘One day I will have a garden’ board on Pinterest. Feel free to have a nosy here. Pinterest is a dream when it comes to interiors, and I’ve even got Chris addicted to the site for house (and garden) ideas. Great news! Congrats on becoming a home owner! Big congratulations! 😀 In the ten years since I left home for university, I’ve only lived in a house, thus somewhere with a garden, for one year. So, I too would be supes happy about having a garden! I look forward to the ‘housey’ posts.